In this ultimate fat loss workout and diet plan we unravel what it takes to transform your body, boost your fitness and get leaner than you ever have before. Here’s the bottom line… unless you combine a healthy, calorie-controlled diet with efficient and optimized exercise, fat loss is tough. They work together to give you the best chance possible when it comes to losing weight or shifting unwanted fat. Get the tools right and you’ll sail your way to a leaner body, healthier lifestyle and more confidence. Get them wrong and you’re on an impossible mission. This is a fat loss workout and diet plan to help you look and feel great. It’s a shortcut to a trimmer waist, shapely muscles and a more athletic look. You’ve either tried to get lean before and not been successful, or you’ve decided to leave your old lifestyle behind for the first time. Either way, starting a structured diet and exercise plan is the key to a healthier lifestyle and a better body composition. Well done, you’ve made the right choice. It’s important – even at this early stage – to realize that a workout guide without a healthy eating plan drastically reduces your chances of achieving your goals. While the saying ‘you can’t outrun a bad diet’ isn’t strictly true, you do make things difficult for yourself if you’re relying on just exercise alone to lose weight. It’s the same if you focus entirely on your diet too. Because without exercise, you’re not taking every opportunity to boost your calorie expenditure or build lean tissue. In this plan, we’re hitting you with a double-barreled assault. Get your food and activity levels in check and you’ll be fast-tracked to lower body fat and leaner muscles. Your health will improve, as will your stamina, endurance and well-being will be the best they ever have been. When it comes to successful fat loss, diet is the first place to start. It forms the backbone and priority of your overall plan, and should be seen as the most important aspect of your fat loss transformation. And that’s why we’re starting with it here. Calories act within the laws of thermodynamics. They provide your body with energy to function by converting incoming food energy into stored energy… and then converting stored energy to usable energy hen it’s needed. Taking in less energy than you need is the key to fat loss. It’s called a calorie deficit. Negative energy balance, or calorie deficit, is simply where you burn more calories in a day than you consume. Your body is a complex machine. It needs energy to survive; and that energy comes in the form of macronutrients from food. Whenever you eat these, your body takes the energy it needs and stores it ready to be used. The more you eat, the more energy you get. But your body only needs so much. Your body only needs so many calories to run effectively. There’s only a certain amount of energy you need to power your heart beat, brain function and to fuel your physical activity. Any more is just excess energy. If you take in more than you need you’re left with a surplus of energy – what’s called a positive energy balance. Now, your body isn’t stupid. It sees no reason to let this excess energy go to waste, because as far as it’s concerned, there might not be another meal coming its way for a while. So instead of getting rid of these extra calories, it does what it thinks is best – it stores them in your fat cells as triglycerides. The more excess calories find their way into your body, the more get converted to fat. Basal metabolic rate (BMR): These are the calories your body needs each day just to perform basic functions. Each time your heart contracts or your brain pings messages to your organs, you need energy to do so. BMR also covers the calories you need to maintain muscle mass too. Exercise: Whether you’re hitting the gym for cardio and weights day, you’re playing sports or you’re heading off for a long run, your body needs energy to burn for fuel. General activity: Walking, housework, day-to-day tasks, playing with kids and so on all require your body to use calories. Food absorption: It’s only a small amount of energy, but when you eat food you have to digest and absorb it – and that also means using stored energy. Throughout the day you’re burning calories from all of these. And together they add up to be your total daily energy expenditure (TDEE). The key thing for fat loss is that your TDEE is higher than your calorie intake. That way you’re guaranteed to burn fat. How do you determine your calorie deficit? In this diet and exercise guide the first thing we want you to do is to calculate your calories. To do so, work out what your baseline maintenance calories are. Once you’ve done this, all that’s left is to calculate your deficit. Each person responds differently, but shooting for between 20-25% lower than maintenance works well for most. Some are happy at as high as a 40% decrease, but others find this too hard to adhere to. Subtract 20% or so from your maintenance and there’s your daily energy allowance. There are no magic diets. Ultimately, there’ll be times when you feel hungry – but you’ve got to try and see past that. It’s completely normal. Whether you decide to do a standard calorie-controlled diet, a flexible macro approach, a carb cycling program or paleo diet is up to you. The only reason that diets work is because they put you in a calorie deficit. There’s no silver bullet or ‘weird trick’ either. So choose one which works best for you. If it fits into your lifestyle and you’re able to adhere to it, go for it. If it’s hard to stick to, leaves you feeling guilty and is just too hard to follow then try something different. There are far too many diets out there to cling to just one method. Aim for a calorie deficit – Starting off with a reduction from maintenance of 20-25% works well for most people, but adapt to suit your own needs. Track your calories intake each day – monitoring what you eat helps you keep on track. Keep a food journal – use either an online app or pen and paper to track each meal. Be flexible with the foods you eat – don’t just stick to the same meals. Variety is key to healthy, good eating. Follow a diet that works for you – an effective diet is one that puts you in a deficit, but is sustainable too. There’s no room for cardio in this plan. It’s inefficient and to be honest, quite boring. After all, who wants to job on a treadmill for an hour facing a wall in the gym? In this workout plan you’ll be combining cardio and strength training to maximize the best of both worlds. It’s a more productive (and dare we say, fun) way of melting fat, building leanness and ramping up your fitness levels. Many people don’t understand the value of lifting weights for fat loss. We already know that your body burns a huge amount of energy just by maintaining basal metabolic rate. That’s because muscle is metabolic tissue– it needs energy to survive. 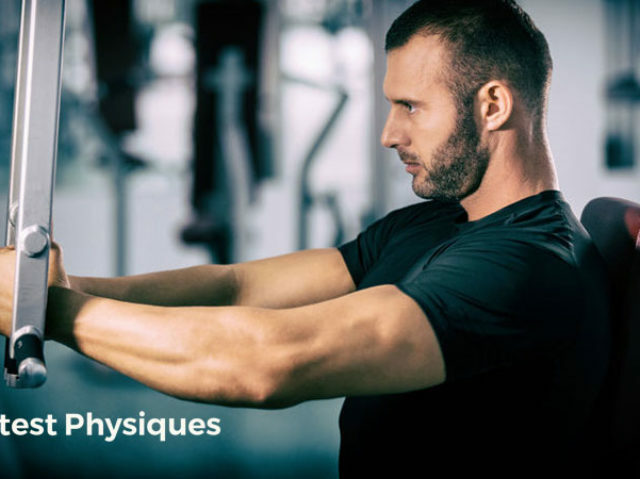 In the same way that you need calories to help sustain your heart rate, body temperature, breathing and brain function – you also need to use calories to maintain and use your muscle mass. The more mass you have, the more calories you burn, not only during exercise, but also while you’re sat resting too. Strength training is an important part of the fat loss jigsaw puzzle because it helps you maintain (and in some cases even grow) muscle tissue during a calorie deficit dieting period. If you achieve a calorie deficit but don’t lift, you’ll lose muscle. It’s inevitable, because your body will grab energy from where it can to cancel out your deficit. Not only will it turn to fat; it’ll grab muscle cells for energy too. It jut gets greedy. Strength training forms a shield around your muscles, deflecting your body’s attempts to use it as fuel. Instead, it has no option but to use stored body fat to make up the deficit. Combining strength training with a calorie deficit is the key to successful fat loss. Get this right and it will literally fall off you in a matter of weeks. When you’re looking to optimize fat shredding results from weight lifting, choosing the right exercises is key. There’s no room for inefficient exercises that work one muscle at a time. They just won’t burn enough calories to make a difference. In this program you’ll be using rep ranges that force your body to adapt and grow. Focusing on 6-10 reps is a great way of maintaining muscle, even in an aggressive deficit. And it’s also heavy enough to absolutely blast you with a big cardio and strength effect too. 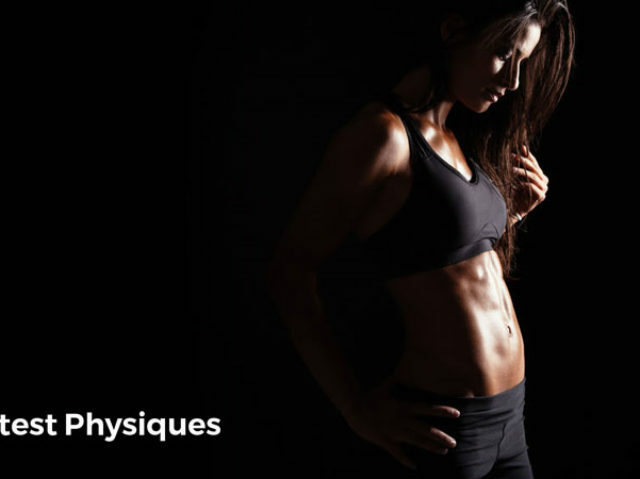 It would have been easy for our team of coaches and trainers to have given you a basic go-to weight lifting plan. It would have got the job done and ticked all the boxes. But they like to go one step further. HIRT maximizes both training volume and density. It is a metabolic workout program that uses weight lifting exercise as a base, but is structured in a way that increases blood flow, heart rate and calorie burning. As an intense workout method, high-density training forces you to complete as many reps as possible within a set time period. The idea is to work full-force, all-out-intensity for periods of 10-15 minutes, and then catch your breath before doing it all again. As a fast-paced workout, HIRT uses a circuit approach to challenge both your muscles and your cardio system. High-intensity resistance training can be tough though. But it’s time efficient, burns a hell of a lot of calories. The result: fast and efficient weight loss. the great thing about HIRT training is that there’s no set program of exercises you have to follow. This gives you flexibility to adapt your workout to what suits you best. You can use your imagination to come up with your own routines – and you can make it as challenging as you want to. You can have fun and play around with ideas based on the equipment you have available. Choose between 5 and 8 different exercises, perfectly compound lifts that work different parts of the body. You’re aiming to cover all of your major muscles in each mini-circuit. Next, you need to order your chosen exercises in a way that maximizes the cardio effect. Put them in an order that switches upper body and lower body exercises, or front of body to back of body. When you do a bench press for example, all of the available blood rushes to your chest and arms to deliver nutrients and oxygen. If you then follow that up with a squat or a deadlift, the blood has to leave that areas and rush to the legs. The further it has to go, the quicker your heart has to go, to get the blood there quickly. Forcing blood around your body at a rapid speed means you get an increase in blood flow, heart rate and calorie burning. It’s all down to clever planning. Last of all, you need to decide how long you want your mini-circuits to be. Traditionally you’ll aim for 10-15 minutes and complete 2-3 separate circuits. That’s a 20-30 minute total fat scorching workout duration. And you’ll soon see why that’s long enough. If you really need to rest during the circuit itself, then that’s fine. But only do so if you really need to. The idea is to keep going as hard as possible for the full workout time. Once you’ve finished the first circuit, grab a drink, take a breather and get ready for circuit 2. You’ve got a 3 minute rest period. And just before you start your session, remember this – you get out what you put in. This is your opportunity to make a difference to your body, mind and confidence. So bring everything you’ve got and we’ll see you on the other side. Choose between 5-8 compound, multi-muscle exercises. Structure each workout to maximize distance between muscle groups – lower/upper and back/front works well. This example 3-day diet plan is based on a 2,000 calorie per day diet and someone with no allergies or food intolerances.